Yes, us GAPS people can eat chips! 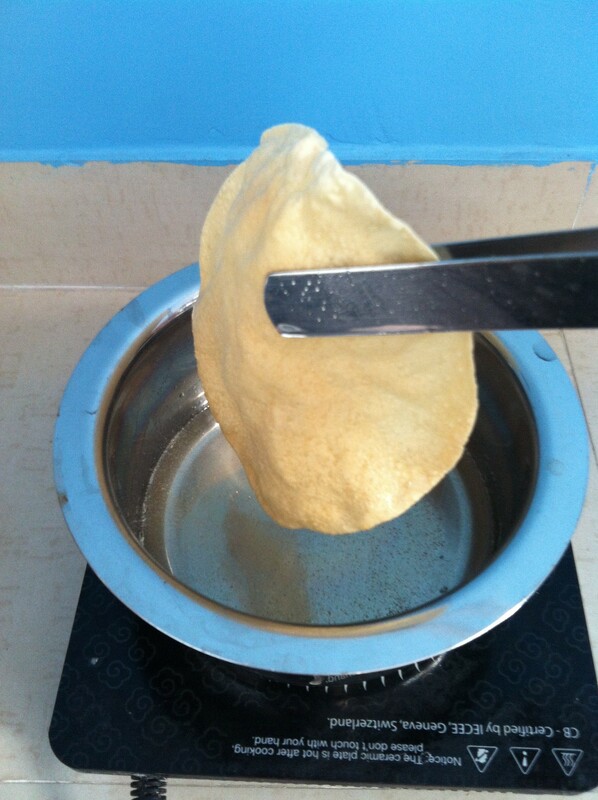 PapaR is a deep-fried wafer made of urad lentils. You can purchase them in a rawish state in a package at the Indian food store. Some papaRdum are made of channa (chickpea) lentils (very difficult to digest and now allowed on GAPS) and some are just made of urad lentils, also called black gram. So make sure you buy the kind that is made of only black gram. Heat half inch of coconut oil on medium to medium high heat. The oil should not be so hot it’s smoking. Drop a piece of papaR in the oil to test for readiness. If it sizzles a lot, it is hot enough. Remove this piece immediately, as burnt pieces will leave burnt residue in the oil. 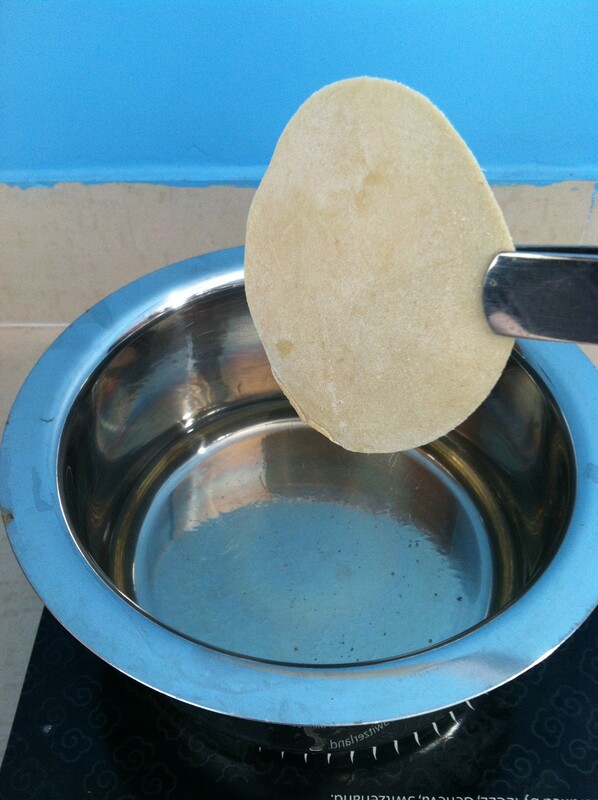 Using your tongs, take hold of the tip of the papaR and submerge into the oil until it curls up. Depending on how hot the oil is and the depth of the oil, submerge it for 2 to 10 seconds. You may have to flip over to cook both sides. Remove. Wafer can get slightly brown or not at all. You can eat plain, with coconut chutney, tamarind chutney, tomato chutney, mint coriander chutney, or fermented salsa! If you live in a humid environment, papaRdum should be eaten right away; otherwise they will get soggy. Note: PapaRum is made with the flour of a lentil. I would guess such flour is made with unsoaked lentils. Eating unsoaked lentils could be harder to digest for some people. Lentils should be soaked in warm water with whey, lemon juice or vinegar for 10 to 12 hours to maximize digestibility and neutralize anti-nutrients. Because of this, papaRum should only be eaten infrequently.